It's not every day you come across instructions for making wine. Afterall, winemaking is a technique that's been passed down for millenia in countries across the Mediterranean basin. That's why we were excited to come across the nifty infographic you'll see below. 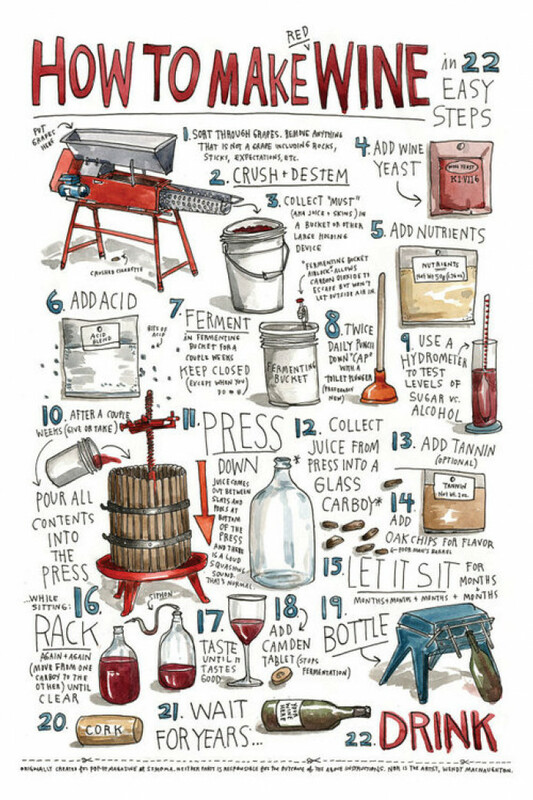 Titled How To Make Red Wine in 22 Easy Steps, this graphic from Visually is incredibly informative. It covers all the basics like crushing and pressing, fermenting and everything in between. Our least favorite step? Number 21, which indicates you must wait for years! How could you possibly learn how to make wine this way? Well, no one said the list was perfect. But it certainly gives you an idea of what goes into making one of the world's most enjoyed beverages.